Would you like to help shape decisions about health services in Sunderland? Sunderland CCG regularly holds events to get the thoughts and opinions from Sunderland residents and local organisations. NHS Sunderland CCG hold lots of public events throughout the year. 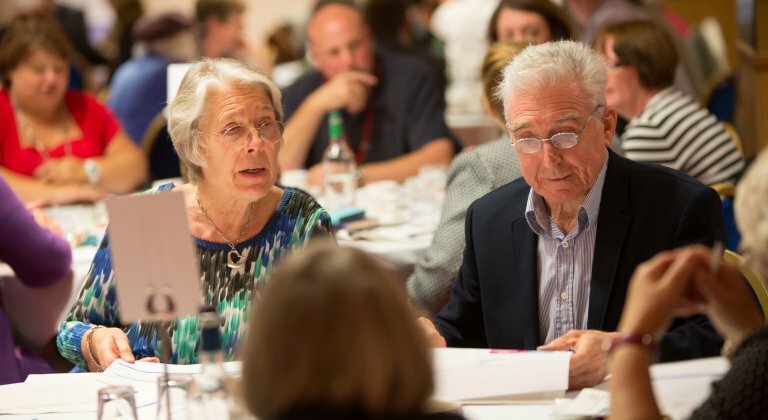 These events are somewhere we can talk with our patients, carers, and the public and give our local communities the opportunity to share their opinions with decision-makers from the CCG. This allows people to contribute directly to decisions affecting healthcare services. As a CCG, we are determined to hear the voices of patients, as your comments can make a real difference and improve the way we plan and operate services. As a CCG we are always looking for ways to improve the way we engage with members of the public. In September 2018 we asked you to take part in an online survey to tell us what your thoughts were on an annual Sunderland health festival. Please see summary report below. NHS Sunderland CCG organised a health engagement event, to encourage people with learning disabilities and their families / carers to come along and talk about what a good health check is. The event had pop up clinics available on the day, so people had the opportunity to see how healthy they are, as well as finding out what support is available. Please see below for the event summary report. A Sunderland Maternity Voices family event was held in September 2018, to listen and collect the views and experiences of local members of the public / service users on maternity care options and services in Sunderland. Please see full details from the engagement in the summary report below. Sunderland Health Forum-Wednesday 26th July 2017. If you need urgent care and it is not a life-threatening emergency, contact the NHS 111 team for free advice.